Matt Prins is a guy making funny books, drawing, fun things, and different brickabrack. He says it’s not totally kid friendly stuff, but that’s not to say he’s unfriendly - he tells us he generally likes people, even kids! He also reminds us that he’s old news - he did his number one Bison way back in 2011. We love his sense of humour - you may remember (or even have!) his short story tote Royal Bison bag from previous fairs. Follow Matt on Instagram @mittplins and see what we’re talkin’ about for yerself. Q: What’s new for your this season? 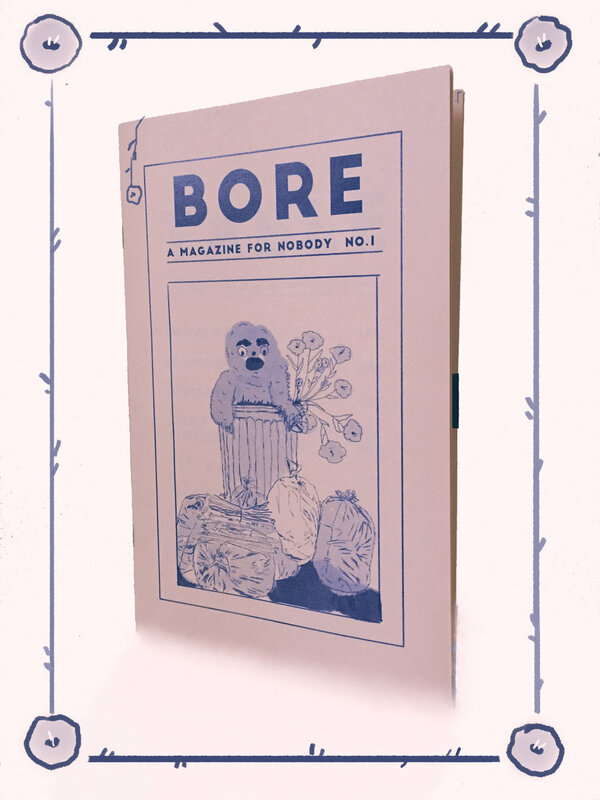 Got a very boring zine called BORE. Got some hats and tote bags with a cute tiger/cat on it. 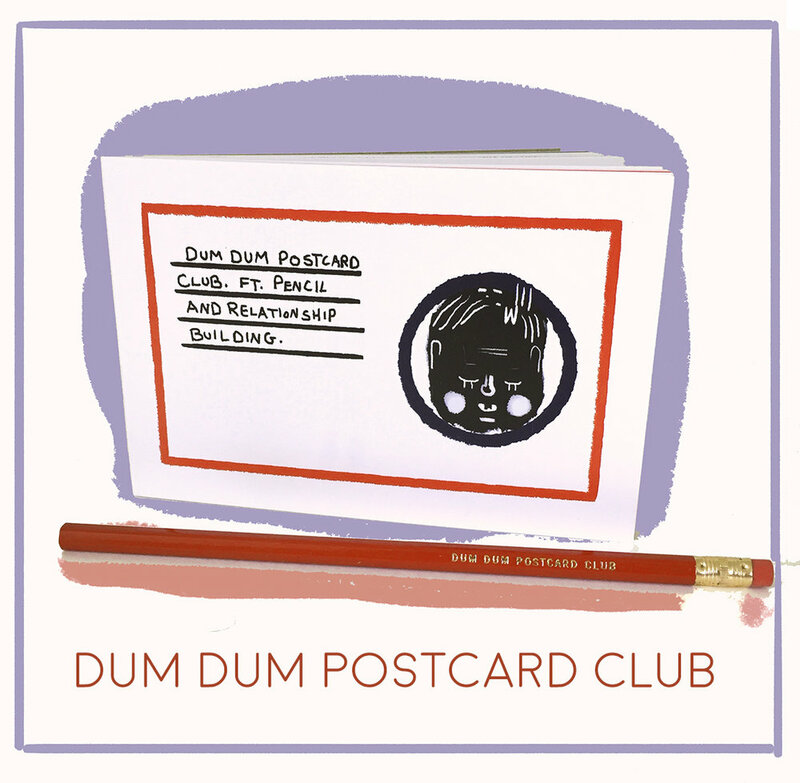 And the Dum Dum Postcard Club starter pack! Get them all! Don’t forget to treat yourself to some Series 3 mystery packs – Fun Thing TM. Q: What do you think sets your work apart from similar makers or designers? Probably my sense of humour. It’s in everything I make and it’s disgraceful. Q: How do you feel about being a part of the Edmonton creative community, or whichever community you call home? I love it! I love my friends! I love my home! I love my scene! Q: Do you have a favourite holiday tradition you can share with us? Fried ham steaks at mom and dad’s on Christmas morning. Put some HP Sauce on it.